Performance and results are key in a competitive market. InvestorCarrot websites are built to perform. Our conversion methodology is built into every website you launch within our platform. Our tools & resources are designed to help you implement the smartest online marketing strategies, and track their performance. If you are serious about your online marketing and tracking your ROI, then InvestorCarrot’s platform makes it easy to launch a site, drive traffic, convert leads, and close deals. Track where leads are coming from, and which pages are converting the best. Carrot’s platform gives you tons of data to make informed business decisions. Easily move your leads to different stages. Carrot’s lead manager works like a lightweight CRM where you can move leads and leave notes on conversations. Easily see which campaigns are producing the most results. Create links that track who clicks on it and tells you how many leads came through that specific link. 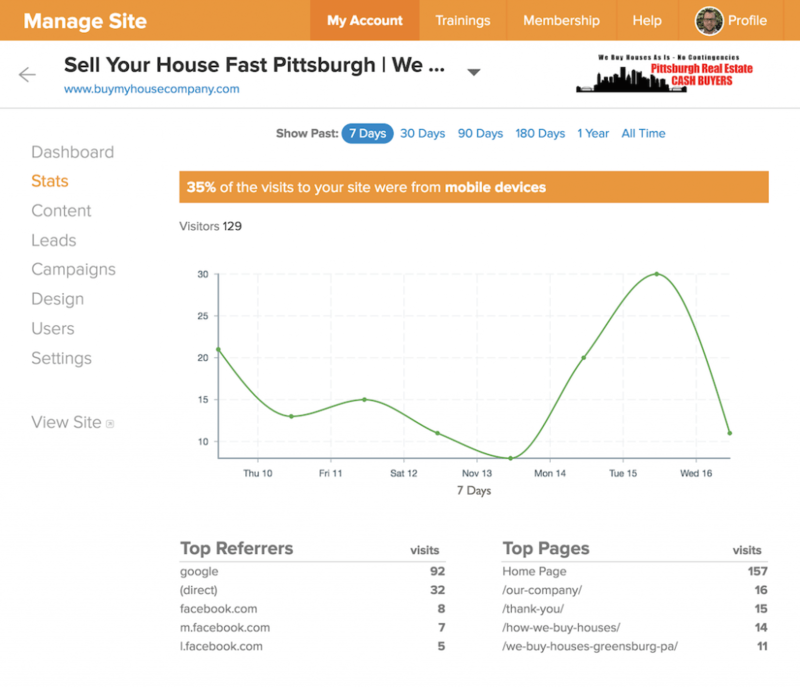 This is great for Adwords, Facebook marketing, and Craigslist marketing. Every Carrot account has built-in analytics and tools to track key performing metrics for you. Plus a helpful guide to tell you what you should be doing next to achieve results. You don’t have to be an expert content marketer to generate leads online. Weekly blog posts with the click of a button. Content Pro members have access to our Content Packs, which are freshly optimized blog posts that you can schedule in your account each month. Content marketing has never been more easy. Pick a pack and schedule it today. Easily connect all of your social media accounts. 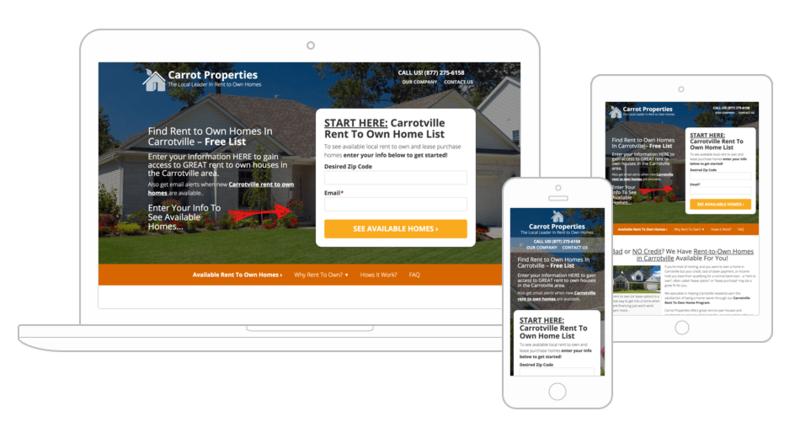 Every page on an InvestorCarrot website has social media share buttons which allow you to quickly market your content on your favorite social media channel. Add a campaign tracking link and see how many people click on the post. Easily track your SEO keyword rankings right in your Carrot dashboard. Want to know if your rankings are climbing? Simply insert the keyword you are going after and our software will track where you rank for that keyword each week. Now you can optimize keywords based on what needs help in the rankings. Make sure each page is optimized for a keyword. Every Carrot page allows you to maximize the chance of your ranking in Google and Bing with helpful suggestions and easy editing abilities for on-page SEO best practices.